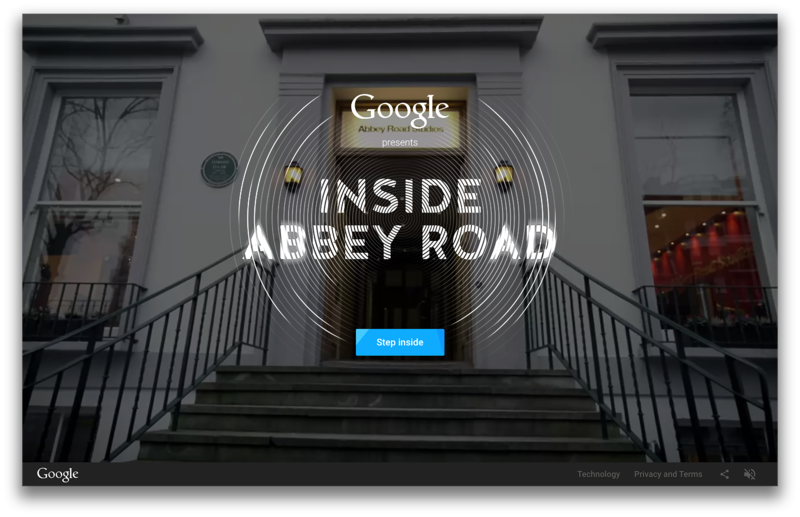 Google is opening the doors of Abbey Road Studios to everyone for the first time. INSIDE ABBEY ROAD is an interactive experience that lets fans around the world explore the legendary studios, hear its stories and play with some of its famous equipment right from their computer, tablet or phone. Ever since 1931, Abbey Road Studios has consistently reinvented recording to create sounds the world hasn’t heard before. The studios hosted the world’s first live global broadcast (with The Beatles no less). They played a role in the invention of stereo by EMI engineer Alan Blumlein and countless epic and extraordinary moments in music have been created in Abbey Road Studios. But until now, the famous crossing was about as close as most people could get to the studios. Inside Abbey Road is a new site created by Google and Abbey Road Studios which lets people explore every nook and cranny of the three main studios and one mastering suite for the first time. Throughout the site there are more than 150 different 360-degree panoramic images for visitors to explore. As they walk through the studios, they’ll see YouTube videos and archival images from Abbey Road’s history—right where they originally happened. From footage of Elgar and the London Symphony Orchestra opening the studios in 1931 to Jay Z discussing his Magna Carta album with Zane Lowe. Users can play with pioneering equipment in specially designed interactive gadgets, such as the J37 4-track recorder that was used to record the Beatles’ Sgt. Pepper’s Lonely Hearts Club Band and learn about historical milestones such as how to cut vinyl in time for Record Store Day on Saturday 18th April. There is also the option for users to join producer Giles Martin, engineer Mirek Stiles, the studios’ Head of Audio Products, or BBC Radio 6 Music presenter and Abbey Road recording artist Lauren Laverne for their very own interactive tour. Select albums and songs featured in the experience will be available to download on Google Play via the discography sections in each studio in the tour. The site continues Google’s long tradition of creating tools which help the world see and experience people, culture and places they would never have had access to before. Whether visiting the Pyramids of Giza in Google Streetview, or getting up close to the brush strokes of Van Gogh in Google Cultural Institute.